Epilepsy Awareness Month Is Around The Corner – Will you have your purple on? Hello everyone, CEO Olivia here. November is just around the corner & that means Epilepsy Awareness Month. As I’m sure you already know, I live with Canine Idiopathic Epilepsy. 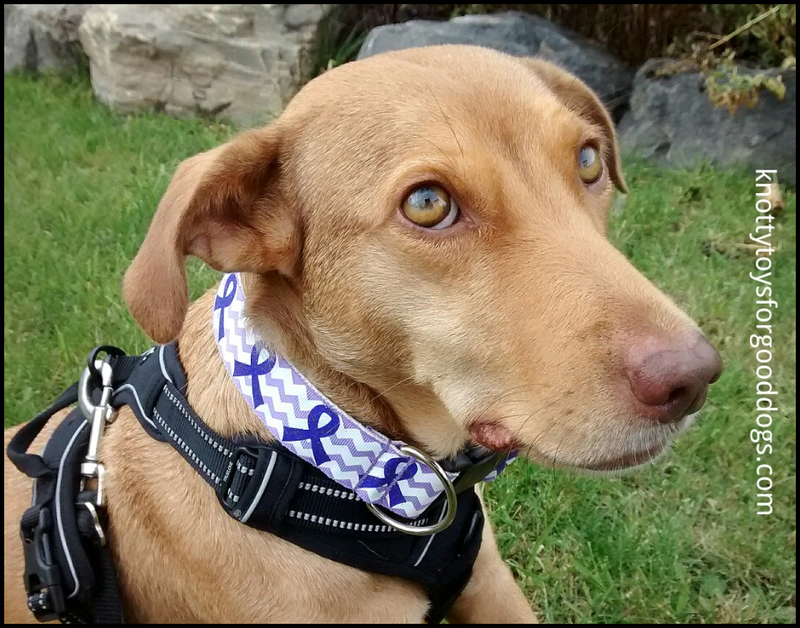 Epilepsy affects about 4% of all dogs globally. For the month of November my blog will be focusing mostly on canine epilepsy. I’ll be sharing some of what my HuMom & I have learned & continue to learn about life with epilepsy. I will also be starting to roll out our eBooks on Canine Epilepsy. These eBooks will be short & concise covering topics helpful to everyone living with canine epilepsy. If there is a specific topic you would like us to write about, bark out to us & we will do our very dog gone best to do so. For the month of November we will once again be doubling our regular donations to the Wally Foundation. Share your pawsome purple pumpkin pics with us; we would love to see them!